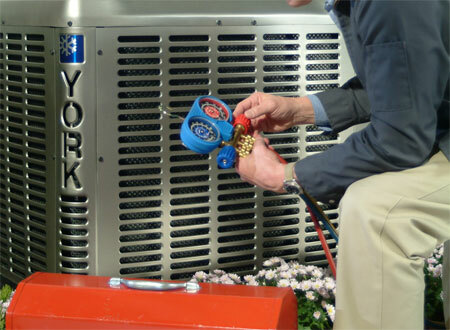 York HVAC Troubleshooting Stockton CA Queirolo's Heating & Air Conditioning, Inc.
Get basic answers to common operating questions to keep your YORK® system running at peak performance. Keep your system up and running with these convenient tips that address common operational issues. If these simple steps do not solve your problem, please call Queirolo's Heating & Air Conditioning, Inc. with your model number for service. Is your thermostat set in the "cool" position (or "warm" for winter heat pump operation)? If so, is your outdoor air conditioning or heat pump unit running? Did the circuit breakers in the circuit breaker box (or electrical panel) trip to the "OFF" position? Are the air registers (supply or return ducts) plugged? Is your thermostat set in the "heat" position? Is the temperature setting on the thermostat set higher than the thermostat's indoor temperature?